Recognize advances made in the appliance industry since the 1970’s due to mandatory and voluntary energy efficiency standards. Distinguish between different national programs and standards related to the energy performance of residential appliances. Explore current and emerging technologies that are used in the five most common kitchen and laundry appliances that meet or exceed new standards. 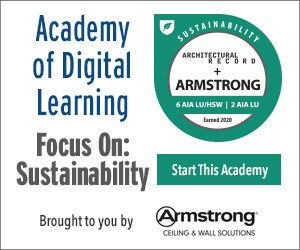 Demonstrate the ways that energy efficient appliances can contribute to certification under some national green building certification programs. Residential construction and renovation has increasingly focused on energy efficiency as a part of good design. Typically, we focus on energy used for heating, cooling, water heating, and lighting, which is appropriate since in a typical house, those systems can account for over 70 percent of the energy consumed. But the other 30 percent of residential energy consumption merits attention as well. According to the U.S. Environmental Protection Agency (EPA), 13 percent of the energy used in a typical home can be attributed to just four common appliances—the refrigerator, dishwasher, clothes washer, and clothes dryer. Furthermore, another 11 percent is consumed by other miscellaneous appliances and equipment in a home such as cooking appliances like ranges, microwaves, etc. The energy efficiency of residential appliances is constantly being improved. Emerging efficiency standards and technology advancement means that manufacturers are offering products which are more resource efficient and cost effective than ever before. The time period following World War II produced significant growth and prosperity in the U.S. and elsewhere. The mantra of modern living included chore saving home appliances and they became increasingly standard in new and remodeled homes everywhere. Energy was abundant and inexpensive, so energy efficiency wasn’t a dominant concern rather convenience, performance and style were the focus. When the energy crisis of the 1970’s struck, things changed. In 1975, the US Congress passed the Energy Policy and Conservation Act with far reaching standards and requirements for the production and conservation of energy in the United States. Part B of Title III of this act included minimum energy conservation standards for appliances and equipment which were mandatory for all appliance manufacturers in order to sell their products in the U.S. This Act of Congress was subsequently amended and updated during the 1980s by the National Energy Conservation Policy Act and the National Appliance Energy Conservation Act (amended further in 1988). The impact of these laws was dramatic. 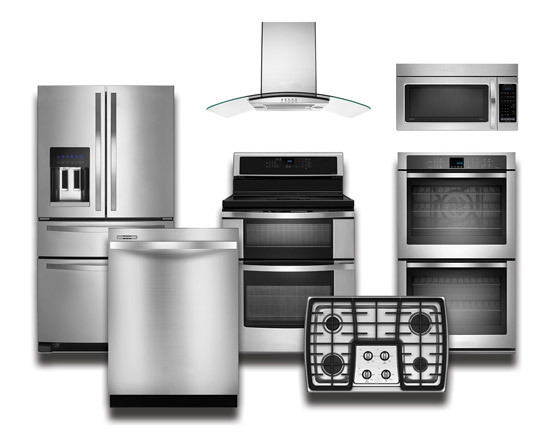 Appliance manufacturers began paying close attention to the energy efficiency of their products and the average amount of energy utilized by residential appliances dropped by 30 to 60 percent depending on the specific appliance between 1975 and 1993. This was only the beginning. Continual efficiency improvements became commonplace and developed momentum as manufacturers recognized energy efficiency as a desirable and marketable feature of their products. The energy performance of residential appliances has increased notably contributing to more sustainable residential designs.